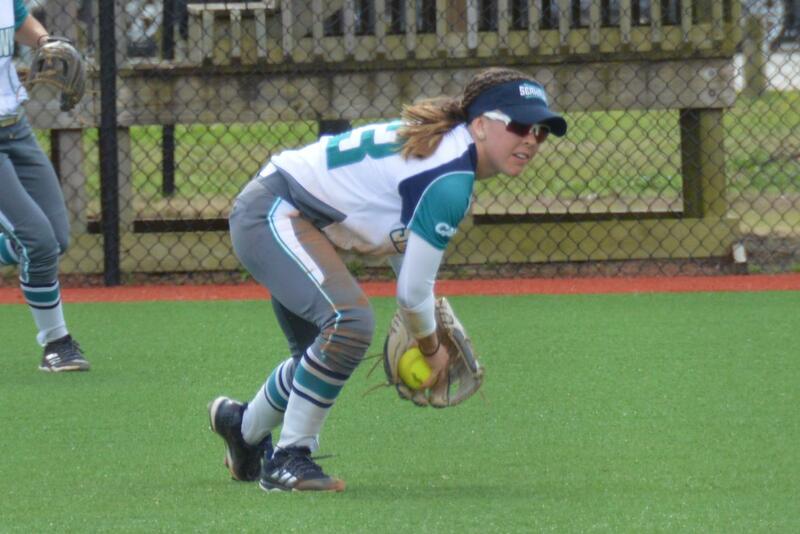 With the opening pitch only two days away, it was announced that the 2019 UNC Wilmington softball team was projected to finish third in the Colonial Athletic Association by fellow league coaches. James Madison, the CAA front-runner for the last five seasons and top-two in the conference since 2012, received all potential first-place votes. The Dukes are trailed by College of Charleston which finished the poll with a second-place projection. Trailing the third-place Seahawks are current CAA champion Hofstra, Towson, Elon, Delaware and Drexel. The Seahawks, who finished 9-12 in the CAA last season, along with a 20-29 effort overall, look to surpass last season’s finish of No. 4 in the conference. If UNCW can finish the season as expected, it would earn a spot in the top-three for the first time in over 12 years. Guided by standout junior Dominique Travers, who managed seven home runs and 21 RBIs last season, the Seahawks return 18 letter winners. Travers, a Second-Team All-CAA player, finished 2018 with a .302 batting average while also leading the team to spot in the CAA tournament. On the mound, the Seahawks return senior Haley Lenderman and junior Rylee Pate. The 2018 campaign saw the duo usher in a 2.78 and 3.62 earned run average respectively. Pate played in over 69 innings while Lenderman appeared in 29 games — a team high for the Seahawks. UNCW starts the 2019 season on the road, competing in the Joanne Graf Classic in Tallahassee, Florida from Feb. 8-10. The ‘Hawks are joined by Iowa State, UNC Greensboro and host defending national champion No. 1 Florida State. The Seahawks will have their work cut out for them early, as the Spartans and the Seminoles both won their respective conference titles last season (Southern Conference and Atlantic Coast Conference), with FSU advancing to win its first Women’s College World Series after knocking off Washington in the title game. UNCW kicks off the weekend slate with a Friday doubleheader against UNCG and FSU at 12:30 p.m. and 3 p.m. respectively, followed by a Saturday doubleheader against UNCG and Iowa State with respective opening pitches at 10 a.m. and 5:30 p.m.
To cap off the weekend, the Seahawks have a Sunday meeting with Florida State at 12:30 p.m.